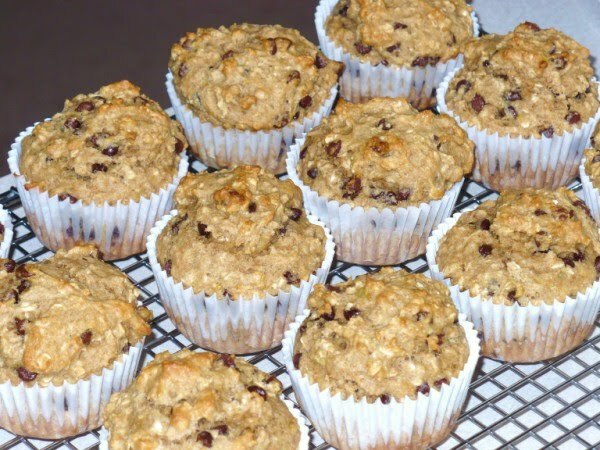 These are probably my favorite muffins. Or at the very least one of my favorites. And they are healthy too! I found the recipe a few years ago in one of those cooking magazines. This recipe makes one dozen muffins. 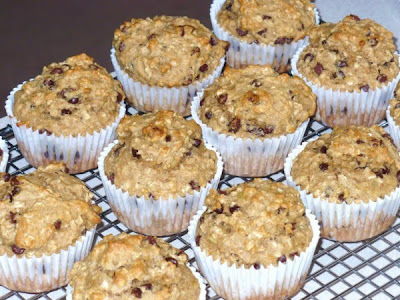 In a medium bowl, combine oats, flours, baking powder, baking soda, and salt. In a large bowl, beat butter and brown sugar. Beat in bananas, egg, applesauce, and vanilla. Stir in dry ingredients just until moistened. Fold in chips. Line muffin cups; fill 3/4 full. Bake at 350 degrees for 15-20 minutes. Cool for 5 minutes before removing to wire rack. Best served warm.